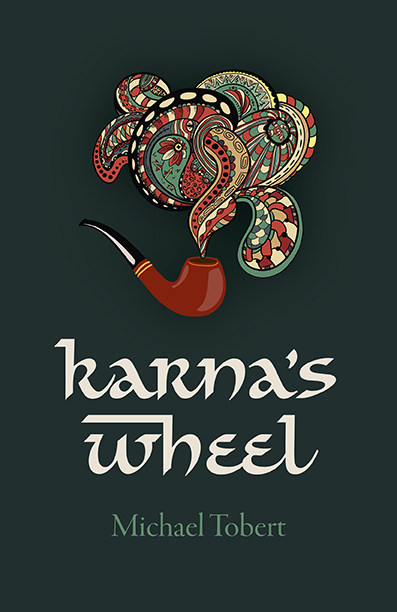 Set in St Andrews, Scotland before the millennium, among the jute mills of Dundee (1915-1923), in the industrial underbelly and opium dens of colonial Calcutta (1923-1946) and on the epic plains of ancient India, Karna’s Wheel takes the reader on a journey that is, by turns, funny, gritty, poetic, poignant, infused with love and, ultimately, exceptionally distinct. MICHAEL TOBERT lives in Scotland and has been writing ever since he stopped imagining he looked good in a suit. Now, he bakes the second best sourdough in the country and spends more time looking in than looking out. He is the author of Cryptogram and Karna’s Wheel. This is top-class historical fiction with strongly realized characters and an emotional punch … one of the most human and engrossing novels I’ve ever read … human history at its finest – making us see the Raj not as a list of events but a succession of relationships, decisions and human frailties that accumulated in change, loss and upheaval for thousands of people. I absolutely loved the evocative description and lyrical language in this novel and got swept up in the story so much that I didn’t want to leave. I can’t recommend this book highly enough – it’s an intelligent, immersive and atmospheric read that draws you in and holds you tight until you’ve turned the final page. Beautifully written and a book to remember. Profound and fun to read.